Get payment and business insights at a glance to manage your association’s finances with minimal time and effort. Better understand your association’s past and current financial standing to effectively plan for the future. Not only can you see when your members made a payment, and for what amount, but also how your members chose to pay, whether in person or online. 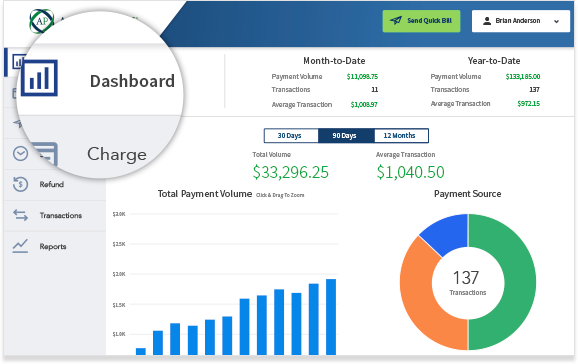 Explore your payment dashboard to get the business insights you need effectively manage your association’s finances. See your ten most recent transactions and top ten members by payment volume.